But the turbo flat-four is still very much happening. Last month Porsche confirmed that it’ll reveal a turbo flat-four sometime later this year. 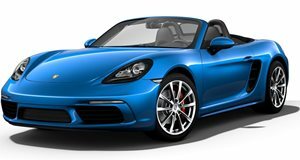 In all likelihood, it’ll be offered in the dynamic Boxster/Cayman duo. Word is it’ll be a 2.5-liter four with direct fuel injection and a single turbo. All told, expect at least 350 horsepower and 360 lb-ft of torque. At some even further down the road, this engine will likely make its way rearward to the 911’s engine bay. Sacrilegious, we know. Anyway, a report coming from Motor Trend is claiming that earlier talk of a non-turbo flat-four was simply that: just talk. 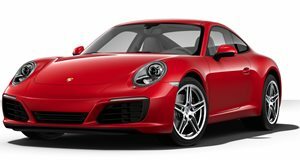 A modern flat-four (sans turbo) is not in Porsche’s future. There was also a previous rumor Porsche may revive the 912 name for a sort of base level 911, and that non-turbo flat-four would power it. But it’s not true (sorry, 912 fans) and will likely never happen. Instead, Porsche is planning to add hybrid power to the turbo-four, thus giving it over 400 hp. For the record, the 911 Carrera S has 395 ponies. It couldn’t be clearer that Porsche’s future will involve turbos and hybrids.